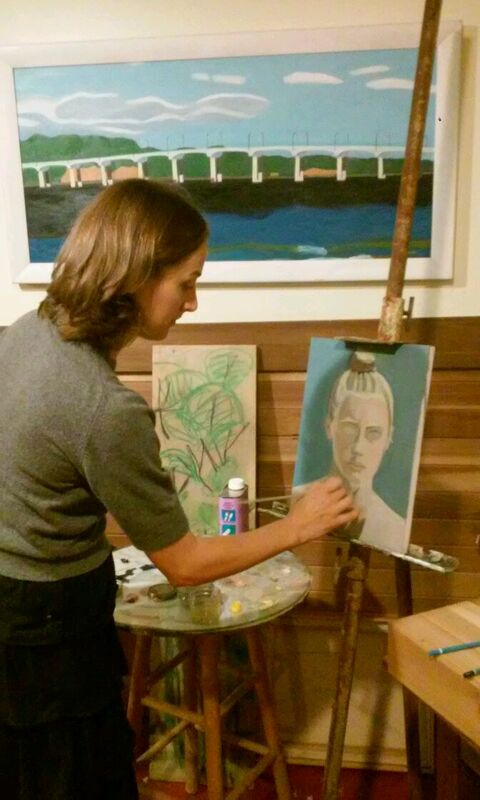 ME: My name is Victoria Burnett and I am a mother, studio painter, and educator. 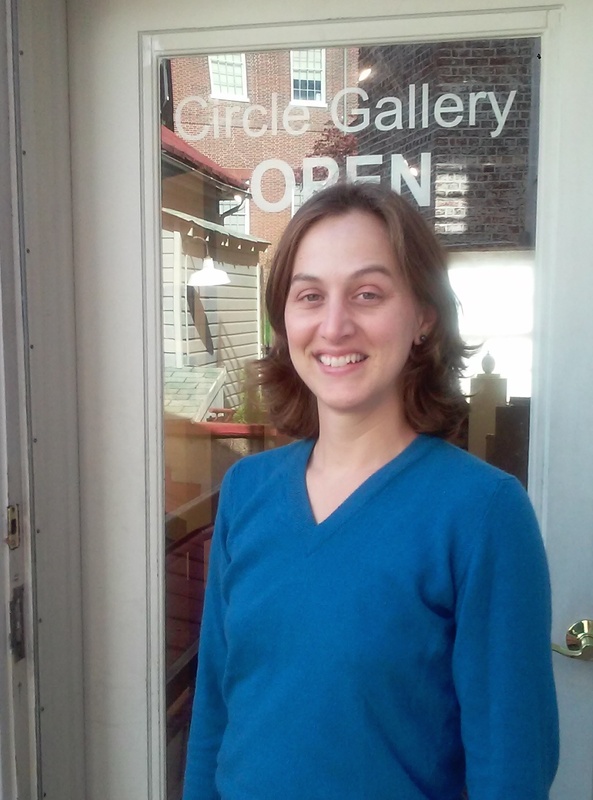 Most members of MFA know me as Tory the weekend manager at Circle Gallery. I received my BFA in Studio Painting from Northern Arizona University then returned to Annapolis in 2004. MY ART: At this stage, my art seems to be a projection of my efforts to balance different aspects of my life and surroundings. What type of paint media I employ relies heavily on the content of my pieces. I generally work in oils. My content is mainly urban landscapes and portrait commissions. I really enjoy finding construction project sites with high content of color and shape that provide me with elements to balance in my compositions. MFA & ME: I presented a show at the MFA’s Holley Gallery in February 2006 and began getting involved as a volunteer for exhibitions and tending the gallery. While volunteering one Sunday in 2008 I was recruited to become support staff in the office. You can still find me there most weekends! I have become very attached to the MFA community and always look forward to assisting their endeavors. After October I will be giving up my weekend hours in the Circle Gallery. I intend to use my weekends to catch up on artwork production that I have been neglecting for too long! I have my eye on the Stormy Weather exhibition and, am excited about the new opportunities at the Maritime Museum space.